Endura Transrib S/S Baselayer Women's. A perfect on or off-bike base layer. Thanks to its CoolMax ribbed construction the Endura Transrib feels especially pleasantly soft against the skin. As well as feeling great, CoolMax always scores high in the wicking (moisture management) league table. 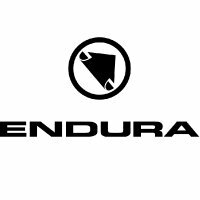 The Endura Transrib Base Layer performs the impressive trick of keeping you insulated in winter, prevents you overheating in summer. The Endura Transrib Base Layer's athletic stretch fit flatters most physiques. This makes the Transrib as fit for gym, yoga pilates and so on as it's suitable for cycling. Its antibacterial finish helps keep the Endura Transrib Base Layer fresh - even when you get in a sweat.